It’s that time of year – have you noticed how busy the birds are?! 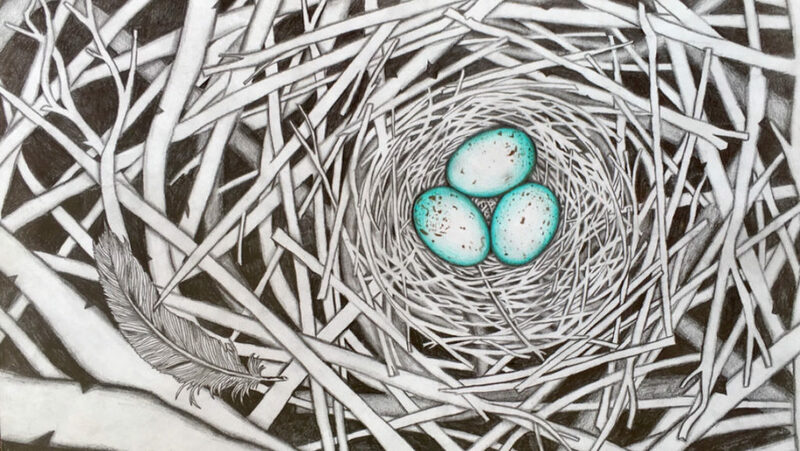 Birds aren’t the only ones building nests around here, Sara Latham is too, with graphite on paper. Sara will display her artwork at the sprawling and lovely “Natural Gardens” in East Meredith, venue #13.